Obituary for David Richardson McKusick | Donaldson Funeral Home of Clarksville, P.A. 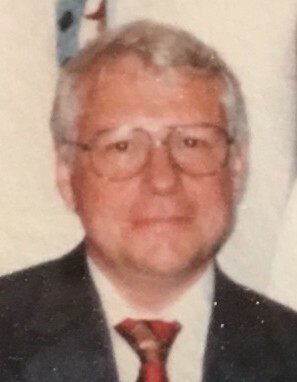 David Richardson McKusick, Ph.D., beloved husband of Pamela Rabbitt McKusick, died on March 16, 2019, in Columbia, MD. He was a long-time resident of Columbia, where he lived with his wife and their rescued Airedale Terriers. Dr. McKusick was born in Dover, N.H., the son of Gertrude and Eugene Lawrence McKusick. He received his undergraduate degree from Harvard University and his doctorate in Demography from Johns Hopkins University, and was a Fellow, Society of Actuaries. After serving two years in the United States Coast Guard. he worked as an Actuary for the Office of the Actuary, Social Security Administration, and for Actuarial Research Corporation of Annandale, VA and Columbia, MD. In addition to his wife Pamela, Dr. McKusick is survived by his sister, Joyce Waller (of Natick, MA); and sisters- and brothers-in-law, Mary Rabbitt and David Mackie (Hopewell, NJ), and Janis and James Currie (Alexandria, VA.). He also is survived by several nephews and nieces..
Services will be held at St. John’s Episcopal Church, 9120 Frederick Road, Ellicott City, MD., on June 1, at a time to be determined. Interment will take place in Strasburg, VA, at a later date Memorial contributions may be made to either of his favorite charities; Airedale Rescue and Adoption Service, Inc., 647 Spring Street, Herndon, VA, 20170, or Friends of Homeless Animals, 39710 Goodpuppy Lane, Aldie, VA, 20105. David's family sincerely appreciates your thoughtfulness during this very sad time.